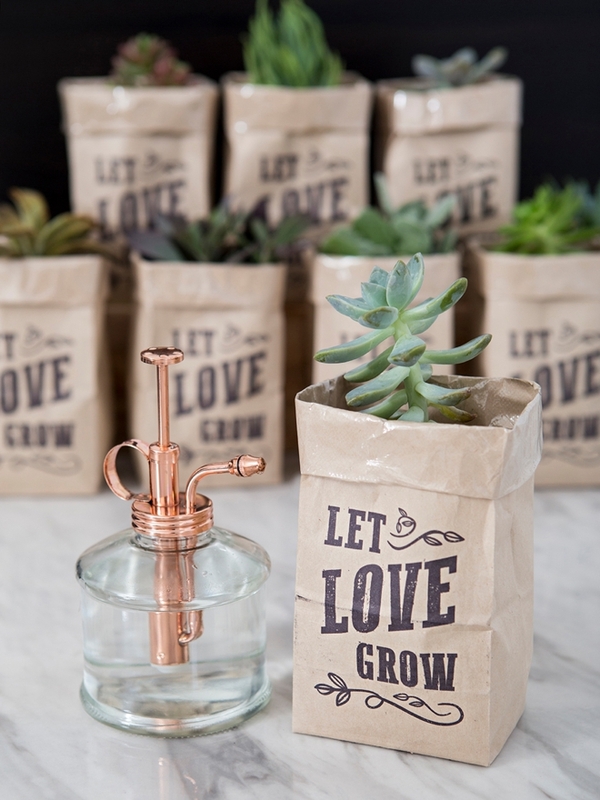 OMG, These DIY "Let Love Grow" Succulent Wedding Favors Are The Cutest! 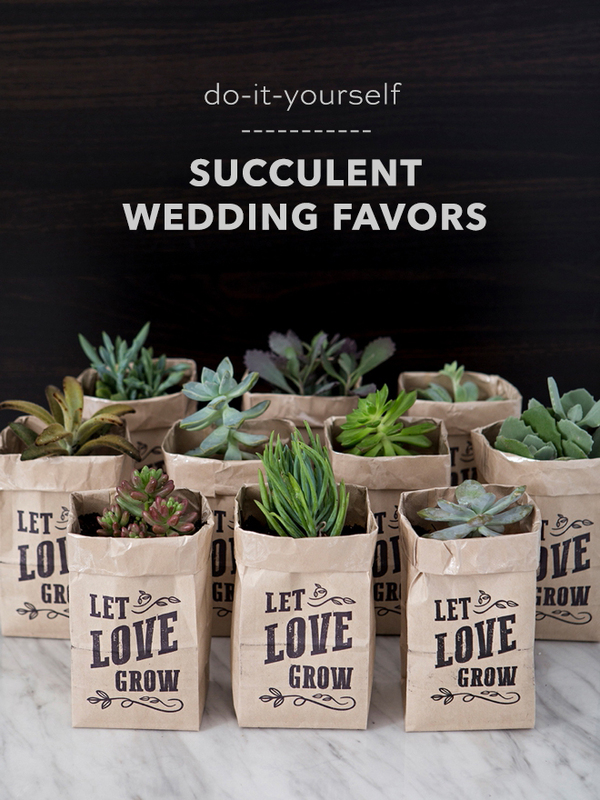 I believe one of the reasons everyone loves succulents so much is because they’re SO easy to grow and keep alive, which is why in the past few years they’ve become a super popular wedding favor. 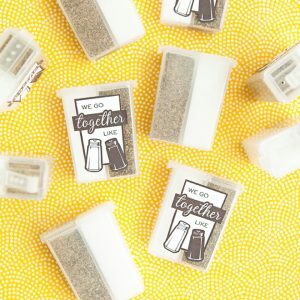 Today we’ve partnered with Canon to bring you this super fun, unique printable, succulent wedding favor idea. I’m using my all time favorite printer, the Canon iP8720 Crafting Printer to handle printing on the thick kraft bags, having it is a must for this project. 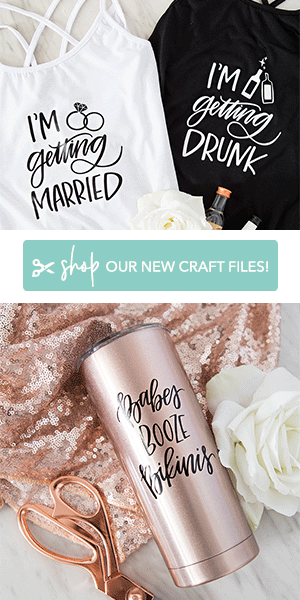 Download or free “let love grow” design at the end of the post and in just a few minutes you can create your very own shower or wedding favors. 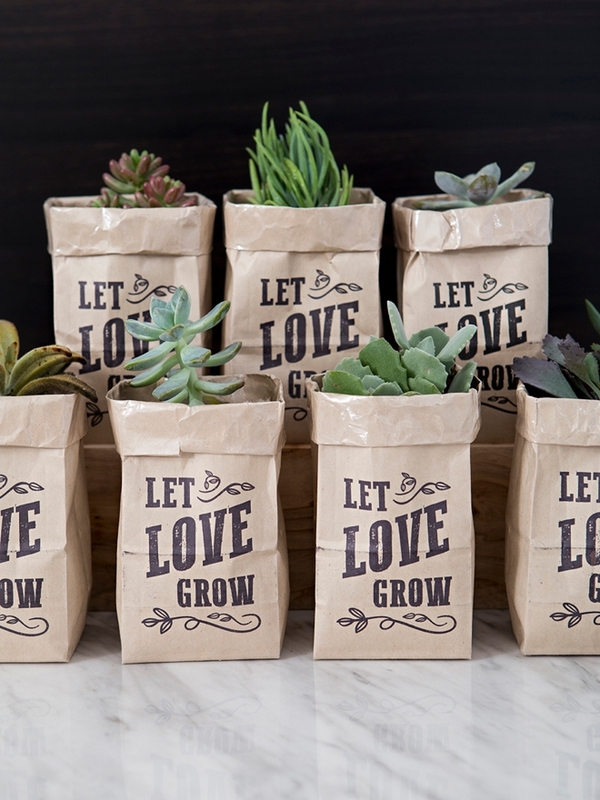 Whether your guests keep them in these darling bags or replant them, they are sure to enjoy this favor for months and maybe years to come! These 1/2 Lb. 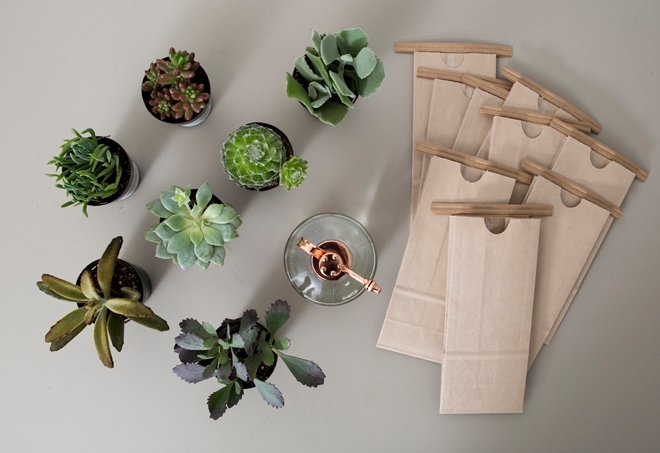 Poly-Lined kraft bags are meant for storing coffee beans or other food items. They are lined with a type of plastic coating that protects the inkjet print we’re adding from the water and moisture of the plant! We will be “hand-feeding” the printer with these thick bags and so having the Canon iP8720 Crafting Printer is a must. It was designed to be able to pull thick materials through the back-loading feature – which is what makes this project work! 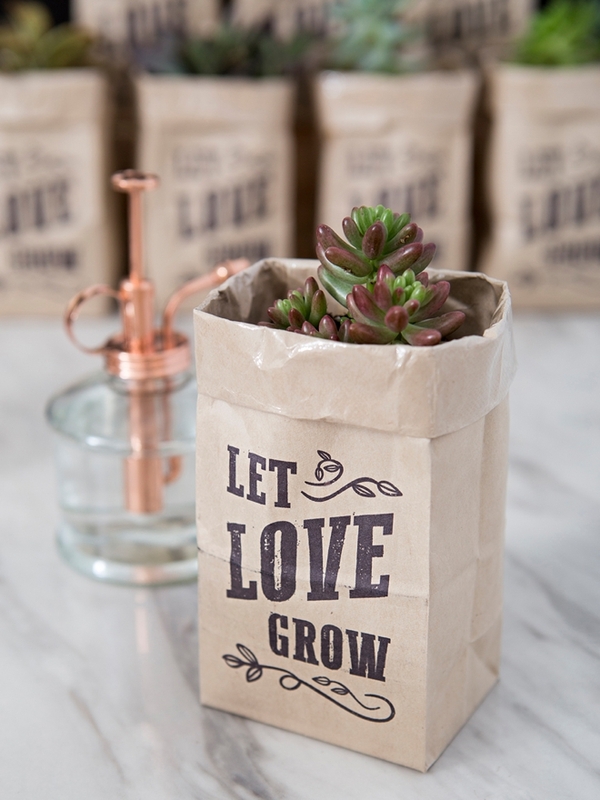 Download our free printable “let love grow” file at the end of the post. This file is unique in that we designed it specifically to work by hand-feeding these bags into the back of the Canon iP8720 printer. Adjust the printer guides to about 1/2” larger than the widest part of the paper bags. 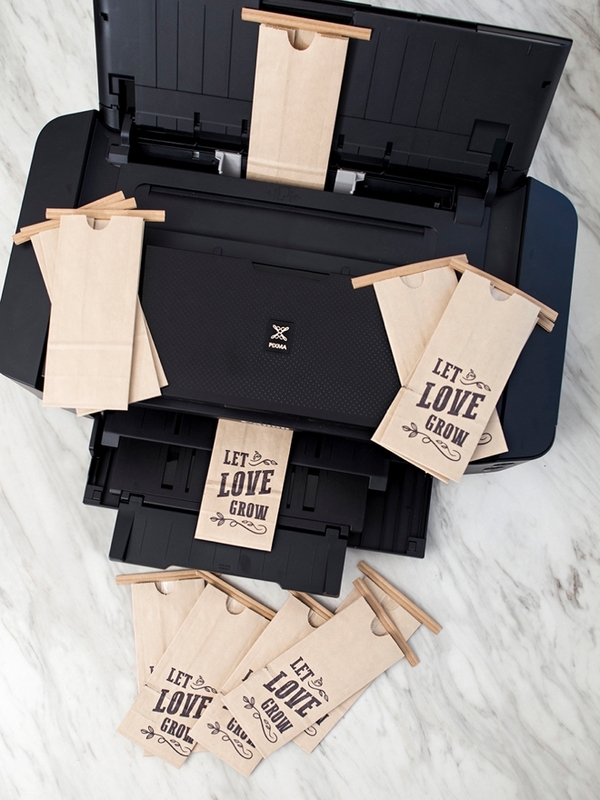 Sit with a pile of bags and hand-feed the printer each bag as it prints. 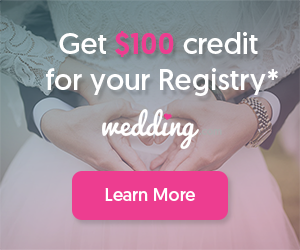 You might want to start with one to get a feel for it, then increase the print amount by a few and in no time you’ll be doing 10-20 at a time! Keep a good grip on the bags until the printer fully grabs them. Open the bags up and fold the top of the bag down by two folds. 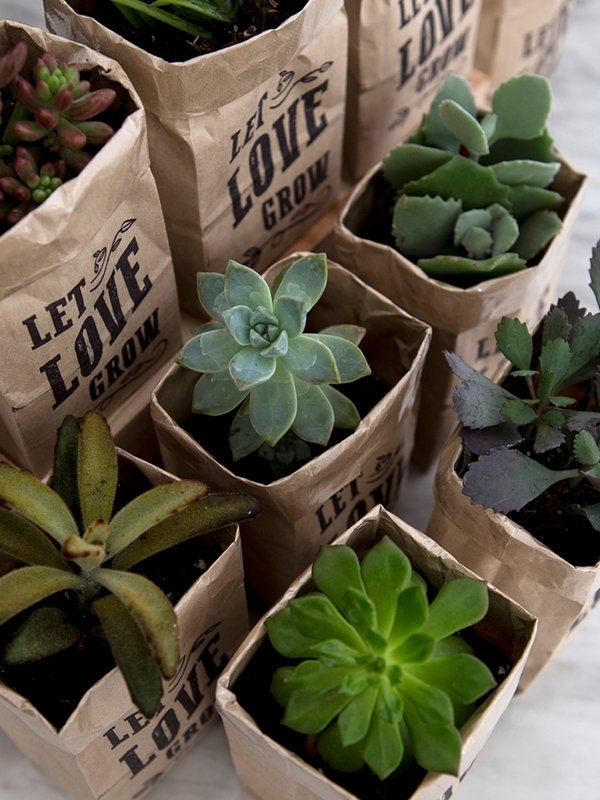 Fill with fresh succulent/cactus potting soil and plant each succulent in each bag. Give a small spritz of water. 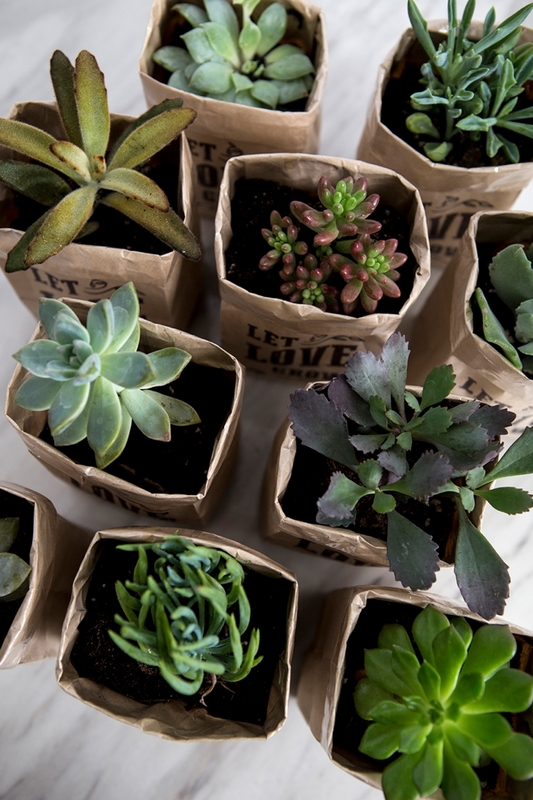 Store in an open cardboard box and give each succulent a spritz of water once a week until your event! 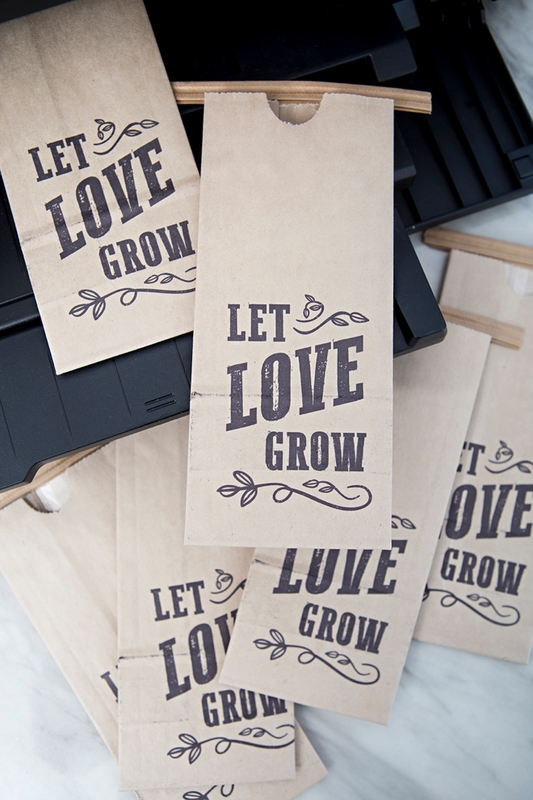 The distressed look of our “let love grow” design works well with the small amount of printer ink smear that you might get from printing on this thick, uneven bag. 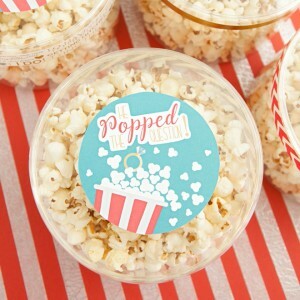 We think it makes the favors look rustic! 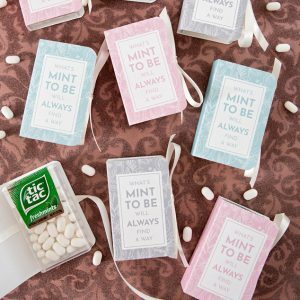 Some favors aren’t best to make in advance but these can be made up to two months in advance! 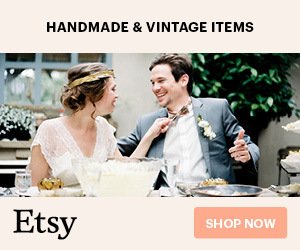 All you have to do is keep them alive until your wedding, which doesn’t require much. 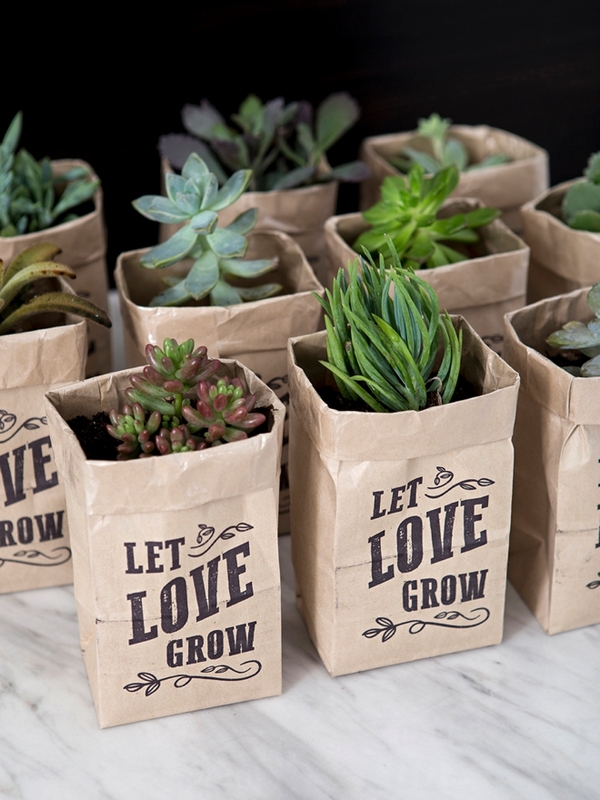 Keep them in an open cardboard box, make sure they get some light and give them a little spritz of water here and there. Just try not to get the water on the printing of the bag otherwise, it will smear.